User’s of Apple’s iOS 11 are now encountering a Reachability Bug problem in using the reachability feature. The reachability feature allows the user to reach the top screen and its apps by double tapping the home button, thereby allowing ease of access to any user. Right now users are encountering Reachability Bug problems when coversheets clashes with reachability. The notification feature in Apple is now called as cover sheets. Cover sheets is used to combine your lock screen with your notifications. Now a user can get their notifications on their lock screens with all the other lock screen features such as the time and other lock screen info. The notifications are shown in chronological order and are not grouped according to app. Although it is very similar to the old notification center there appear to be differences in the notification options. The Reachability Bug has only arisen with the iOS11 edition when the reachability feature and cover sheet features have been introduced together. At present it is not known if the bug is a software glitch or otherwise. Apple’s chief software engineer says that they are working to remedy the situation. This has led to hopes that the company intends fixing the bug in future revisions to iOS 11. Apparently, In iOS 11 the user could access reachability by double tapping the home button and getting all their apps which were on the top of the screen closer to their finger tips. This could be done for easier one-handed access. After this they could swipe down just below the app line instead of all the way up to access all their notifications. But it seems this feature is not present or has been overlooked by the Apple team in iOS 11. Therefore the user would have to reach all the way up to access those notifications. This has severely hampered user’s utility. Such a Reachability Bug has not been seen in previous IOS versions. The recently launched iphone X does not come with the reachability feature. But an Apple developer has seen the code work for reachability support, thereby hinting at the new iphone X coming with the reachability feature in the near future. Apple is now working to remedy the Reachability Bug which will come in the near future. 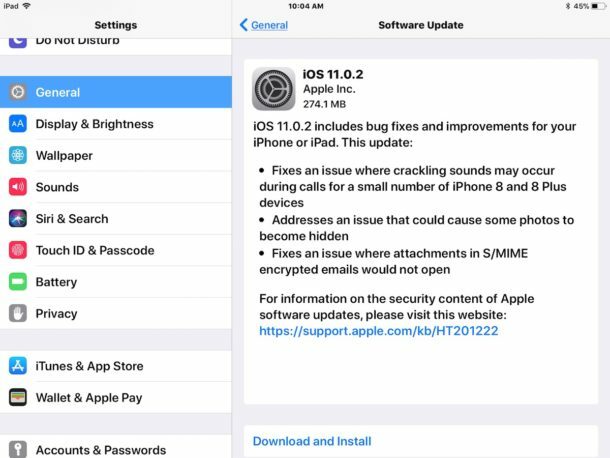 The iOS 11.0.2 has been made available to Apple users on their iPhones, iPod touch and iPads. The iPhone 8 and iPhone 8 Plus users experienced crackling sound during calls. It was not clear what caused the crackling sound. The earpiece seemed to work fine even on affected iPhones, but during calls , there seemed to be a faint crackling sound, which was annoying to the users. They took to social media to report this problem and seek help. Apple confirmed the problem and said it affected a few of its users. To fix this problem, Apple has come out with iOS 11.0.2. It also fixes other minor bugs as well. Apple did not release any betas before the iOS 11.0.2. It is the second update since it launched iOS 11 on 19th September. 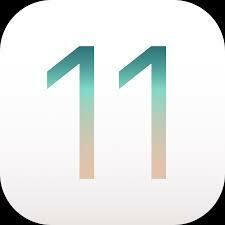 The iOS 11 included additional features to the iPhone, iPod touch and iPad. It included Indoor mall and airport maps, Do Not Disturb while driving, Live photos editing, multitasking features in the iPad, new files app, document scanning in notes. 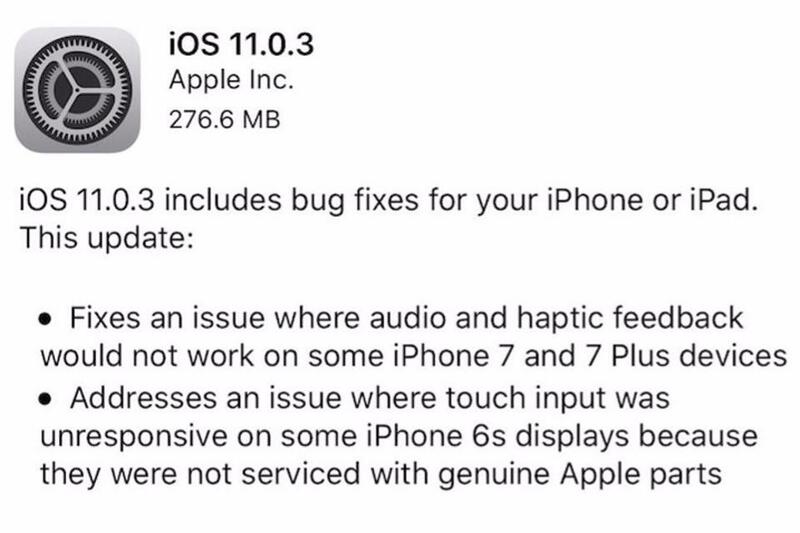 The iOS 11.0.1 also aims to fix certain issues which the users have complained about. It fixed the Exchange email server problem. There improvements in performance as seen in the iMessage app Drawer, App Explorer and Springboard. The iOS 11.0.2 is focused on fixing up the iOS 11 and iOS 11.0.1 problems. It seems to be a solution for bug fixes and improvement in performance, also including the crackling sound during phone calls. The iOS 11.0.2 is a maintenance update with a fairly big download of 278MB . It should take about a minute or two to download if you have a fast Wi-Fi network. You need to go to the Settings app on your iPhone, click ‘General’ and then ‘Software Update’. This update can be downloaded from your computer as well. You need to plug your iPhone to the computer and go to iTunes to update. It would be safe to backup your device in case anything should go wrong. Make sure that the iCloud backups in your device settings are working or backup can be done using iTunes. For data protection on your iPhone, iPad or iPod touch, you need to have the iOS 11/iOS 11.0.2 . This is especially essential for those using the older versions of iOS. The crackling audio during phone calls for the iPhone8 and iPhone 8 Plus has been fixed. It solves the problem where some photos become hidden. The attachments in S/MIME encrypted emails would not open and this problem too is resolved. Welcome iOS 11 and its great innovations that promise to improve the experience we have on our iPhone, iPad and iPod Touch. Tim Cook, chief executive of Apple, officially introduced during WWDC 2017 to iOS 11, the next version of the company's mobile operating system. iOS 11 brings new features for iMessage, Apple Pay advances, more intelligence for Siri, new features for the camera and a new Control Center design. However, there are many more novelties that we collect below. iOS 11 brings a new design for the Control Center to integrate all the tools in a single screen. In addition, this Control Center can be customized and compatible with 3D Touch, which allows enabling more control commands. Now you can slide your finger from bottom to top to see all notifications in one place on the lock screen. In addition, the Notifications panel now shows you the notifications of today and if you slide up it shows you a screen with notifications of other days. You need to swipe from the bottom edge to close the notifications panel and return to Start. On the other hand, in the configurations you can select if you want to show notifications previews always, when unlocked or never, giving you more control. Hold down the emoji virtual key and select the handwriting to let the keyboard tilt to one side, similar to what different Android keyboards have offered. iMessage will now sync with iCloud to allow conversations to be synced across all your devices; so, if you delete one of the messages on your iPhone, it will be erased from your iPad. Also, when you activate your new iPhone, your entire conversation will be rebuilt quickly. Pay Cash and you can use it to pay someone else or to make purchases with Apple Pay. Also, when someone asks you for money, the keyboard on your iOS device will suggest you use Apple Pay to pay. The camera app now brings new filters that allow you to better highlight what you captured. You can also create Live Photos loops, crop, play, and rewind a captured moment, mute, and get an extended exposure to create a drag effect. In addition, the videos and photos will take less space, thanks to the new format HEVC and HEIF video that manages to occupy only half the space. On the other hand, Apple will allow the depth information captured with the two cameras of the iPhone 7 Plus can be used by developers to create different effects and photos in low light can take advantage of the optical image stabilization of the cameras. Also, now you can see Memories in portrait mode, not just horizontal. The Apple Maps app will be updated with iOS 11 to provide shopping and airport information. In addition, Apple Maps will include the speed limits and will indicate which lane you must take to follow the navigation directions, similar to what Google Maps has offered for some years. These new features of Apple Maps will only be applied in some cities and airports in the beginning but are expected to be extended to more places in the future. When you install iOS 11, you will receive the option to activate the new Do Not Disturb While Driving mode. If activated, this new mode will detect that you are in motion and will turn off the screen and will not show you notifications. In addition, it will include an autoresponder message to indicate that you are driving, but it will show you some notifications of your favorite contacts, in which case they are emergency communications. However, if you are not the one driving, you can activate the screen and select to deactivate that mode. HomeKit, AirPlay 2 and Apple Music: Smart home with music AirPlay 2 lets you play music through different speakers in different rooms in your home, and you can control everything from the HomeKit app on your iOS device. Also, Apple Music allows you to create public playlists so your friends can see it and even add their own songs. On the other hand, Apple is opening up Apple Music so that other developers can access its catalog, including Nike and Shazam. For example, when you detect a song in Shazam you can add the song to your list of Apple Music with a single click. The Apple App Store, App Store, brings a completely new design. The App Store now has different tabs including: Today, games, apps, updates and searches. Today's tab lets you discover new apps and games, while the Featured app helps highlight popular apps and an organization in different categories. What is more interesting is that the App Store now will show you tips and tricks of all kinds of apps and games, through video and photos. On the other hand, Apple promises that with the new app store the company will be able to evaluate and approve apps in just 24 hours, although in many cases it could take an hour or two. Apple is creating a new augmented reality platform directly on iOS 11. With this new tool Apple will allow developers to create all kinds of augmented reality experiences. Apple is enabling machine learning so developers can take advantage of it and give their apps a little more intelligence. Did you buy a new iPhone? Just bring it closer to another device with iOS or macOS so that many of your iCloud Keychain settings, preferences and passwords are imported automatically. The new Files app lets you browse, search and organize all your files. Files not only allows you to manage files on your iPad, but also access files you have on other devices with iOS (on iCloud Drive), as well as files in services such as Box, Dropbox or Google Drive. Apple adds new intelligence to its virtual assistant, Siri, to offer suggestions for different apps. For example, if you visited a page of an event in Africa, News may suggest something related to that. Apple claims that in iOS 11 Siri will have a more natural language so that it sounds much more like a person of flesh and blood. Siri will help you translate from English to French, Italian, German and Spanish, but hopefully in the future, it will work with more languages. Settings titles, Mail, and other Apple apps are larger. The new iOS 11 dock on the iPad will always be present so you can quickly access the apps that matter most to you. Although when you are using an app in full screen the dock will not be present, you can slide up to see it. With the help of this new dock, you can drag an app to your screen to activate the multi-window functions in a simple way. Although the dock is the one that allows you to drag apps to activate the multi-window functions, iOS 11 lets you drag and drop all kinds of files. For example, now you can drag photos to an email so you can share what you want in a more intuitive way. The new apps exchanger now has a laptop design. With the Apple Pencil and iOS 11 in the iPad Pro, you can write and draw in the Notes app, screenshots or PDFs (including PDF books), just like the Mail app. iOS 11 will allow you to scan documents to be automatically adjusted. In addition, you can fill and sign fields with the Apple Pencil. When can I upgrade my iPhone, iPad and iPod Touch to iOS 11? The final version of iOS 11 will be available on September 19th as a free upgrade. The iPhone 8, iPhone 8 Plus and iPhone X arrive with iOS 11 the first time you turn them on. 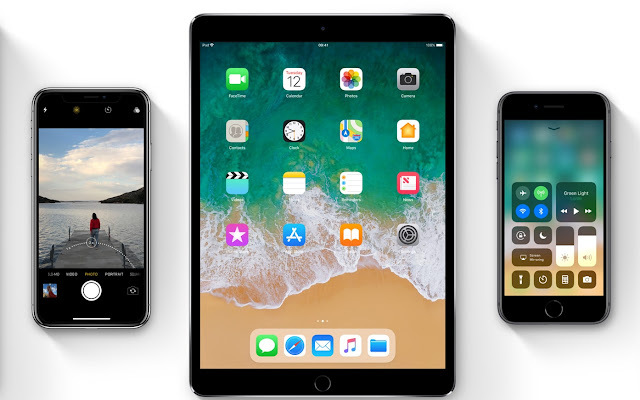 iOS 11 is focused on many refinements of what Apple was offering in its operating system for iPhone, iPad and iPod Touch, but the most interesting news will be received by the iPad. These changes make the iPad work more like a laptop, increasing the possibilities of what this device can offer. In addition, the new designs of some iOS 11 components refresh a little the experience we have in these devices. In general, the changes are welcome and make iOS 11 feel like a more modern operating system. Just before the most awaited launch event of this year, tech enthusiasts has found that upcoming Apple Watch Series will come loaded with LYE connectivity. All this was revealed from a single images which was sent to the source showcasing an Apple Watch pairing screen for iPhone. Highly smart individuals with hawk like eyes were to fin small cellular signal bars right on the watch face. To be more precise these bars appeared nothing more than few dots which gave the first indication of having the LTE capability on a smartwatch. This screenshot also showed what appeared to be complication faced by the phone and GPS apps on daily basis. 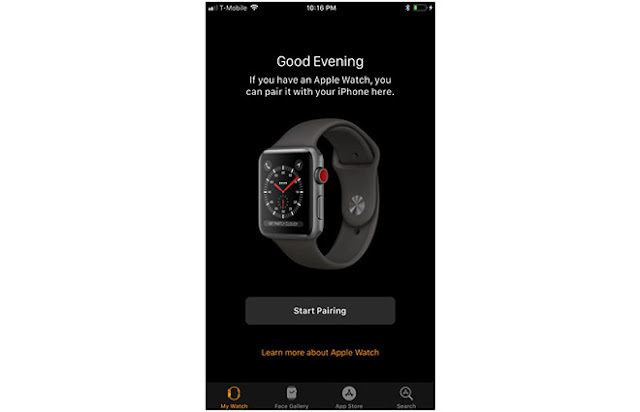 Even a month before the ultimate launch of the Apple Watch Series a number of reports has emerged in the media claiming that new smartwatch will feature the coveted cellular capability which will be utilized by the users to download songs in Music and transfer data from one device to another with pairing. Apple has done a lot of work on making the display brighter than ever before. This simply happens to be the brightest display Apple has ever produced for its range of products. This awesomely bright display is supported by a highly improved GPU which has been developed by Imagination Technologies which have a credible record of providing ground-breaking GPUs. Apple has brought a new chipset on the Apple Watch Series 3 which has been dubbed as S2 microprocessor. This processor happens to be 50 faster than the processor present on the original Apple Watch. This is powerful enough to deal with some of the resource consuming apps. This processor is highly energy efficient which means user will be able to use the Series 3 Watch for a whole good day on a single charge. Even after adding the LTE and cellular capability on the smartwatch Apple claims that this device will be able last for 18 hours. This is more than enough to get through a day’s work without any need of charging but this claim isn’t tested by the users. Apple has claimed that in order to bring cellular capability to this device they had brought a new invention which people have failed to recognise so far. Apple engineers have developed one a kind antenna which is designed to make use of the display in order to both transmit and receive signals from the device. 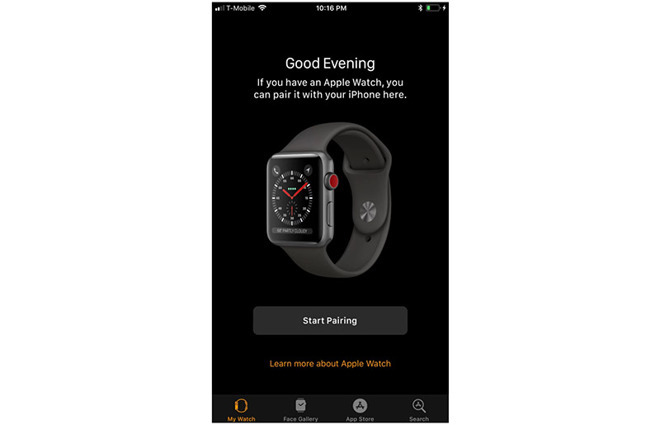 Apple Watch Series 3 has been successful from the moment it was shown on the huge screen due to its breakthrough design which appears to be immensely inspired by iPhone X as well. We should note that in the past a number of cellular connected watches have made their way into the market and Apple isn’t the first one in this regard but all of them failed due to their bulky and unattractive design. Thankfully Apple designed first LTE smartwatch isn’t unworthy to look upon not it is too bulky to work around with ease. Apple has introduced various new features with iOS 11which will make the operating system of iPad look and feel like an old-fashioned desktop setting. The significant feature of iOS 11 on the iPad is the drag and drop facility which changes the whole iOS paradigm, integrating a decades-old desktop feature that tends to make it feel like a drag and drop had been waiting for touchscreens to come along. It appears like all the apps of Apple have got a dose of drag and drop in iOS 11 inclusive of the Maps. 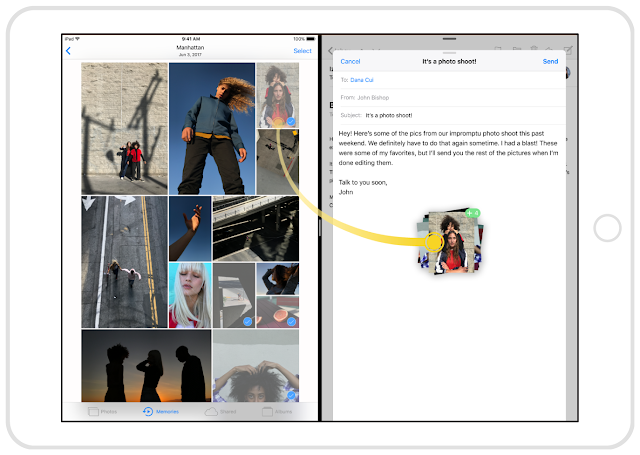 The iOS 11 tends to add system-wide drag and drop providing the user with a quick and simple way of moving text, images together with files form one app to another. You could just tap and hold to pick up the content and then drag it to another app. Multi-Touch, is a new method of selecting multiple items which enables you to pick up various items quickly by tapping. With the spring-loading, you could also copy to another app on dragging the content over the icon of the app in the Dock or on the Home screen. Drag and drop has the benefit of the power of Multi-Touch with the ability of moving content between apps which feels natural on iPad. Tap and hold on an image, a file or selected text and then drag it to where you need it to go. Moreover you could also drag contact, maps, reminders and much more. In the case of spring-loading, one can utilise drag and drop in order to open an app wherein you can move the content from one app to another by going over the icon. Then pick up the content needed to move and hold it over the icon of the app in the Dock or on the Home screen and the app tends to spring open. Thereafter you can drop the content wherever you desire it to be placed. The iOS 11 has introduced a quick and easy means of selecting various items wherein one can drag one item and thereafter tap others to add to them. Drag and drop has been incorporated all through iOS and can be utilised in the Home screen, Calendar, Dock Messages, Files, Safari, Contacts, Spotlight, iBooks, News, Notes, Photos, Maps, Keynote, Page and Numbers. By utilising a simple and powerful API one can implement drag and drop in their app. The new system-wide drag and drop option tends to change the manner one utilises their iDevice. Rather than having to think ahead on what one intends to do, you could get on and do it. For example if one wants to send a location to someone while sending an email in iOS 10 and earlier, you could usually ditch the present email and go to the Maps apps, locate the area and then share it from there. In Maps a steady drag tends to move the map around like before and to drag a location one should pause a bit after tapping the screen before you tend to drag. While planning a trip you can now run the Maps and Notes app alongside probably with a Safari panel floating above and drag locations into the Notes app as you tend to locate them. Utilising this feature is simple and you can use drag and drop in Maps. Though the beta tends to be yet a bit buggy, the best option to view Maps drag and drop so far is to open Notes in Split View and then tap and drag a location over to Notes and it is done. On the iPad under iOS 11, one can start on email and work out other things later. 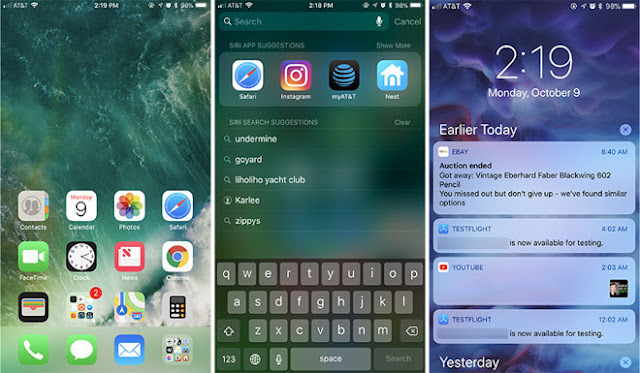 By working in Split Screen one can drag location from Maps, URLs from Safari, images from Photos as well as documents from Files By official launch of iOS 11, this fall, and several more apps would be supporting drag and drop. Apple seems to have the right feel and it is quite natural that one scarcely notices the difference and one will find your iPad doing about almost everything that is needed to be done. Owing to this improved medium-long tap, one can bring up information on a location. You could execute this medium-long tap on any feature one may desire in order to learn more and a little card tends to pop up with the additional information. Should the location be a regular area in a street, then one will have to mark it with a pushpin. The drag and drop implementations in iOS11 is not just a new feature which has been placed over the prevailing iOS design but has been baked into each area of the operating system. For instance, if one tends to let their finger linger on a link in Safari, it transforms into a little draggable card with the URL and title printed on it ready to be dragged. When Apple's iOS 11 mobile operating system will be launched later this year, it will not be made available for the iPhone 5 and 5C or the iPad 4. This just means that older devices will stop receiving software and security updates. Newer devices such as the iPhone 5S will receive the upgrade; however, apps that are older will stop working later. This is the result of Apple’s verdict to terminate devices and apps that use 32-bit processors. iOS 11 will only work on a new iPhone and not on an old one as older phones use 34-bit processor whereas newer phones will have a 64-bit processor which permits the system to use a larger amount of memory. Since 2013, Apple’s devices have had 64-bit processors instead of 32-bit processors, when it was introduced with the iPhone 5S and the iPad Air. This change will be challenging for app developers too. In the new version of the App store, apps that run only in 32-pit processors will fail to show up in the search results or be available from the tab under Purchase if they were previously downloaded. If the apps are updated to be 64-bit compatible, they will stop working on older phones which have 32-bit processors. A 64-bit processor is faster in use as it can handle a large amount of data all at once, that is four billion times as much as compared to a 32-bit processor. This is why iOS 11 will work better with 64-bit processor. Ernest Doku, a telecoms expert at uSwitch.com, said that Apple gave warning for years about this migration to the 64-bit processor hardware but still many customers will be left blindsided with this news. Most of the apps belonging to the last four years’ time period or so maybe compatible, provided they have not been updated since the year 2015. Way before iOS 11, when iOS 10.1 was released by Apple in October 2016, users functioning with an updated device would be warned through a message that it may slow down their phone. The upgrade to iOS 10.3 also includes a tool that detects apps that are not compatible with a 64-bit processor. The apps which are affected will be found under Settings > General > About > Applications > App Compatibility. Last year, it was revealed on a trading website that the iPhone 5 was one of the most popular handsets from the number of listings that were created. This new change in its functioning is likely to further disappoint owners. All the updates to the current apps and new apps have had to ability to support 64-bit since June 2015, so any app that has been updated in the span of these last two years will remain unaffected. However, a few popular games and educational apps have not been upgraded from the time the 64-bit requirement was introduced. These include apps from Fisher Price and WeeWorld. The 32-bit support for Mac is also likely to be phased out by Apple. The company informed developers at WWDC that Mac OS High Sierra would be the last device to have 32-bit capability without any adjustments. All the new apps given to the Mac app store and all the updates to existing apps will need to be 64-bit compatible from June 2018. This new iOS 11 update will be available in about September as a free update for any iPhone and iPad that is supported. The world has witnessed some great changes over the last decade. We are grateful to the tech giants as they have been efficient in bringing a change in the world. Well, needless to say we can witness now what we have never dreamt of. We are quite fortunate regarding this as we are able to live in this era and see the change. In the field of smart phones, the exceptional work and developments has been done by Apple who have been the leader ever since its inception. Coming this September, they would be completing a decade and there has to be some sort of surprises and features for the users. It seemed that it was only yesterday that they came up with their first iPhone. Now they are all set to release the latest OS- iOS 11. Well, it is for both iPhone and the iPad and indeed it is a great news. The confirmed news about the latest iOS 11 will be announced in the conference on 5th June in San Jose. It is rumoured that the upcoming iPhone 8 may have the latest iOS 11 in it which will make it worth buying. Well, we all wait for an update for any kind of software or any operating system we use. Recently, the rumours are that the Apple voice talk Siri will get updated also and will become more intelligent. 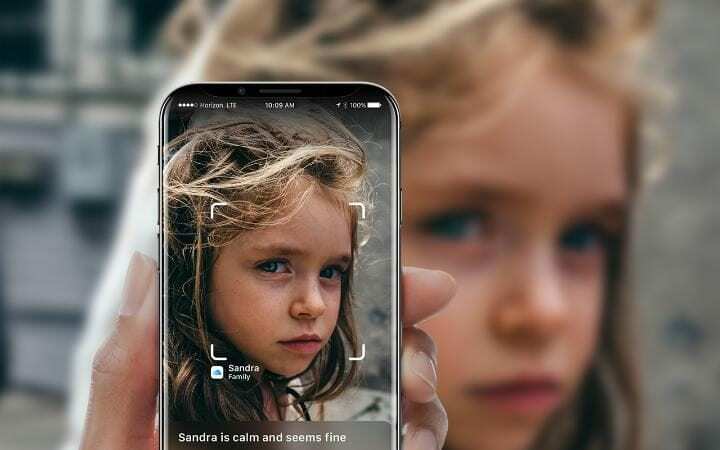 The app can be integrated with the latest Artificial Intelligence which can learn a lot from its owner. It shows that it is connected to the people. There may be some instances where the Siri is interfering in between chats or conversations. In the field of music and videos, it has been confirmed that they would start making new and genuine videos for the updates in the near future. The concept of the original video has kept everyone excited about the updates. At present, they are working on various bands and series. It seems that Apple Music will have the unsigned bands to videos and many more. The world is getting digital everywhere and we are accepting the new form of payment and that is cardless payments. The latest iOS may bring up a new form of payment method which will surely amuse every one of us. The service is not yet ready but it will come in the near future at the earliest. This makes the event more cool and exciting. Well, as usual a beta version will be released at the upcoming conference this week. Probably next month they would come up with the public beta version in the month of July. However, there is no final date on the release of the latest iOS 11. Everyone is assuming that it might be in the month of September. Well, till then we have to keep our fingers crossed and hold our patience as the best is yet to come into our hands. Apple is all set to do away with the 32 bit apps on its iPhone and iPad with upcoming version of the iOS. This move by the Apple was first discovered by a developer named Peter Steinberger who very soon sent out a tweet that he had discovered this hint from the iOS 10.3 beta update. Therefore a number of apps based on 32 bit will not work at all on the future versions of iOS. Therefore developers will have to update their app in order to improve the capability on iOS based devices in future. In iOS 10.3 beta version a similar error message pops up on the screen when accessing such mobile applications. This error messages are doing rounds on various forums where developers have found to their surprise that the Apple has stopped supporting the 32 bits apps together. Users who have updated the developer version of iOS are frequently getting error messages like ‘the app will slow down an iPhone/iPad when opening a 32-bit app. Furthermore system also lays down the path for the developer to ensure the compatibility for this app in future by upgrading it at the earliest. The error messages further states “the app needs to be updated. This app will not work with future versions of iOS. The developer of this app needs to update it to improve its compatibility”. In short Apple is sending out message to the developer to get to the task of enhancing their 32 bit before next public updates hits the iPhone and iPad in upcoming months. Apple has bumped up the feature for Siri by bringing in ability to answer any question related to the cricket. This update brings an India specific feature for Siri where ‘cricket’ is a hugely popular sport. Quite incidentally Google Now already has support for answering queries related to the cricket but Apple is catching up with Google by bringing similar functionality for its assistant. According to the Apple Siri will be able to effectively answer questions related to the cricket with this update wherein users can even get precise answers from upcoming 2016 IPL rankings, get to see stats for an individual players as well the trivia questions associated with this sport. Apple going for the 64-bit apps is not a new thing as it was first on iOS after the launch of the iPhone 5s in 2013. In 2014 Apple put forward on the developer’s web page wherein it stated that all the apps developed from now on will have to offer 64 bit support. Later on in June 2015 Apple started ensuring that all the apps on App Store are 64 bit. In short Apple move to get rid of 32 bit apps on the iOS platform isn’t immediate rather it has been a calculated move.